Facebook finally introduced hashtags back in 2013, presumably because of their popularity not just on Twitter but other platforms too, such as Pinterest, Instagram and so on. 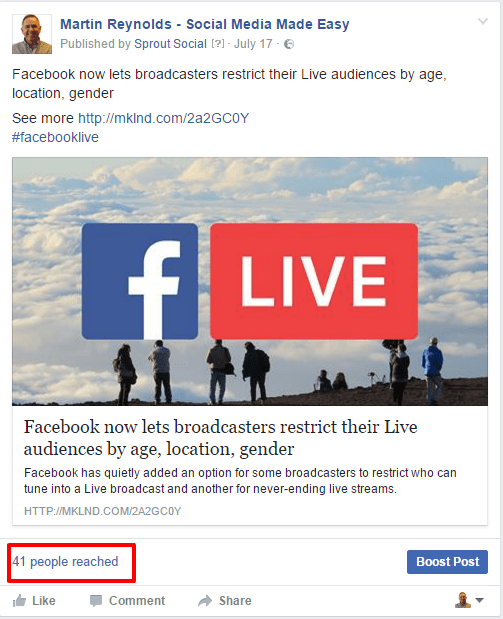 Initially I thought this was good move, although a belated one, by Facebook and there I was telling all who would listen (yes it is you two again!) 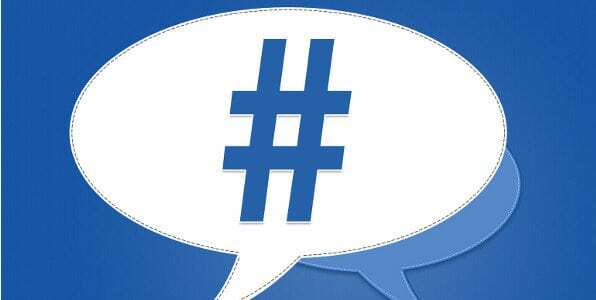 that you should be using 1 or 2 hashtags within your posts on Facebook. 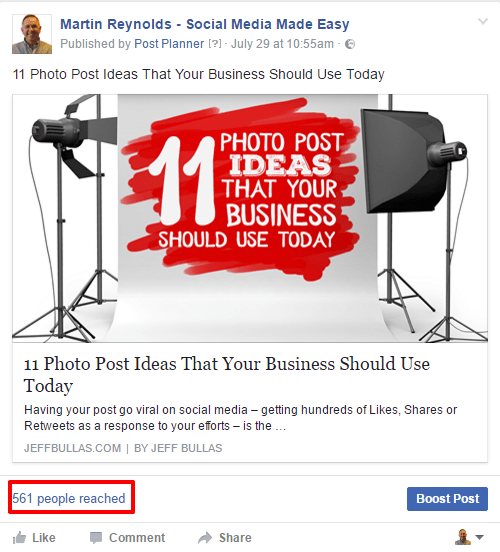 Over the last few months I have noticed a slight decline in the reach of my Facebook posts which have hashtags added, yes I know Facebook`s organic reach is declining anyway but I heard whispers that posts without hashtags were performing better. So I put this to the test and it seems to be correct. 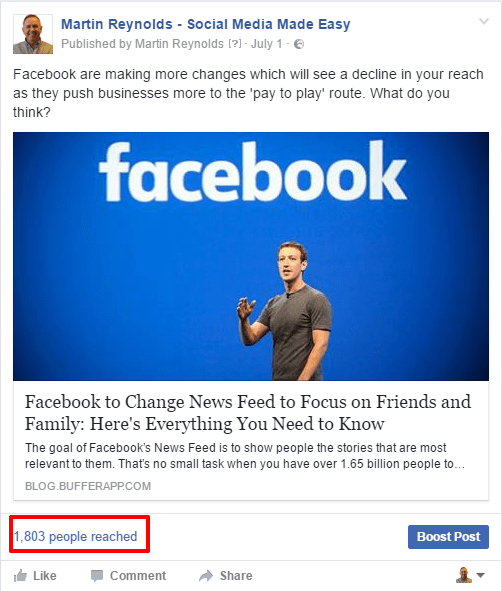 These are just 4 posts from June & July where I tested this theory. Ok, yes I know the actual content, time of day, day of the week and other factors will come in to play when it comes to reach and engagement, but this seems to be a typical result from my experiment. As you can see, the post below only got a reach 19 people from a following of 1,500+, where as the post without a hashtag received a reach of 1,803! So, the rumours were right or was this just a coincidence? Well, when I read this recent report from Buzzsumo, dating back to February 2016, it certainly confirmed what I thought. Just to double-check I Googled the subject and came across this article from Buffer, which again reinforced my thoughts and fears. So yes, hashtags are still valuable on many platforms. Tweets with hashtags tend to get double the engagement compared to those without and posts on Instagram with 11+ hashtags receive far more interaction. My advice…continue using hashtags on all the major platforms except Facebook and LinkedIn. 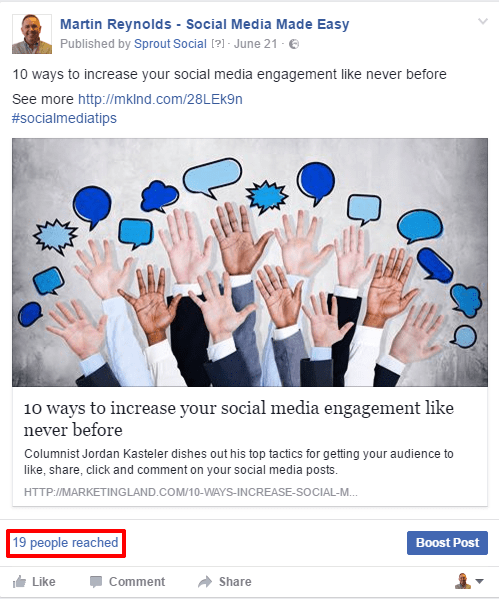 The only exception to this rule on Facebook is when you are promoting an event that is using a specific hashtag, or if you are looking to increase awareness for your brand. Apart from that, when it comes to your everyday posts I would ditch the hashtag completely on Facebook. Keep up to date with more tips! « Do you want to sleep with me?